Election 2010 « America, You Asked For It! The election year is now upon us, and polls undeniably show a strong majority of Arkansans are mad as Hell about what’s been happening in Washington. Democrats in our Congressional delegation have overwhelmingly voted to support nearly every plank in President Obama’s platform that failed to stimulate the economy, failed to create jobs, and failed to take a strong stand against our terrorist enemies around the globe. Two of those Democrats, Vic Snyder and Marion Berry, realized they’d followed President Obama too far down his Socialist path and have already chosen not to run for reelection. But Blanche Lincoln and Mike Ross believe they can use their millions in out-of-state cash to convince voters to ignore their votes for Obama’s Socialist agenda. Other Democrats are stepping into the voids left by the Snyder and Berry announcements. These will claim to be different than those they hope to replace, but we’ve seen how effectively Obama, Nancy Pelosi, and Harry Reid bend Democrats to their will. We need clear alternatives, candidates who will go to Washington and represent us. Candidates who will challenge the establishment and stand up for what’s right. The problem is that Washington, DC establishment Republicans also failed to uphold Arkansas’ conservative values when they had the opportunity. That’s why we need real change in 2010; ordinary men and women who will go Washington and take the extraordinary step of challenging the status quo, men and women who understand their job is to uphold the US Constitution and make the country a better place for our sons, daughters, and grandchildren. Since both parties have dropped the ball recently, some are tempted to support independent or third party candidates. But history shows us these candidates have almost no chance to win. This year, they are more likely to split the conservative vote and guarantee at least two more years of the Obama Hell that we’ve suffered these past months. Fortunately, we have an opportunity to accomplish our goals. But it will take a concerted effort on the part of conservative voters across the state. Historically, participation in Arkansas’ Republican primary has been extremely light. In 2004, only 54,000 of Arkansas’ 3 million residents voted in the GOP primary. More importantly, fully 41% of those reside in three counties. Eight of Arkansas’ 75 counties supplied over 67% of voters in the 2004 GOP Senate primary. This resulted in voters from a handful of counties actually selecting the GOP nominee. If the same pattern holds this year, voters in 67 Arkansas counties will have virtually no say in who will run on the Republican ticket. If we hope to nominate a conservative candidate who can win statewide, we need that candidate to be chosen by voters statewide. If we again allow only 8 counties to choose the GOP nominee, Arkansas will likely send another crop of Obama-Pelosi-Reid lap dogs back to Washington to continue on the path of destroying our country. The Republican Party is counting on the Tea Party energy and emotion to deliver in the fall for whatever candidate wins the GOP nomination in May. But they may well be counting their chickens before they hatch. Most Tea Party activists aren’t looking for Republican candidates to support, they’re looking for conservatives. And not just Republican candidates who say they’re conservative during the campaign. These disgruntled voters have had enough of experienced politicians who say one thing on the campaign trail but go to DC and play the game. 2010 could be an historic year for the Republican Party of Arkansas. There are more candidates running as Republicans than we’ve ever seen. The US Senate race alone has 9 declared candidates even though the GOP couldn’t field an opponent to run against Mark Pryor in 2008. But not all of these candidates will satisfy the Tea Party activists’ hunger for honesty, integrity, and responsibility in their candidate of choice this year. In races across the state; veterans, small business owners, and other non-politicians stood up last spring and said “I’ll stand up for limited government, fiscal responsibility, and accountability against the Obama-Pelosi-Reid lap dogs” –before establishment Republicans realized Berry, Snyder, and Lincoln were vulnerable. Over the last few weeks we’ve had several professional politicians and other Washington insiders jumping in these races, attending out-of-state fundraisers and claiming they’re the best candidates because they’re “electable.” Our question to them is, “Where were you when Tea Partiers and Town Hall attendees were challenging these once powerful politicians last year?” These are the candidates who will turn off Tea Party voters. If we hope to elect “real people” who will represent Tea Party activists at the state and federal level, we need voters statewide to participate in the GOP primary. We need GOP nominees who voters in every county can support and we’ll only achieve that if voters in every county take part in their nomination. If you agree with the 60% of Arkansans who want to stop the Obama-Pelosi-Reid train to Socialize the American economy, encourage your friends and family to vote in the GOP primary on May 18. Help us nominate real conservatives who will represent Arkansas values in all levels of government. The Lonoke County Republican Committee has announced both GOP candidates for Arkansas’ 1st Congressional District will speak at the committee’s regular monthly meeting on Monday. Rick Crawford and Princella Smith will address the committee and take questions. Though the Tea Party of Lonoke County is non-partisan, the course charted by the Democrats who now run our country makes this election cycle unique. The first vote new members make will be to elect the Speaker of the House. In 2010, sending any Democrat to Washington to represent the 1st District will be equivalent to voting for Nancy Pelosi (D-CA) for Speaker. We simply cannot afford another two years suffering under this left-wing zealot who has been a rubber stamp for every part of President Obama’s Socialist agenda. For that reason, the 2010 Republican primary is crucial. Conservatives in Arkansas MUST participate in the May elections to decide the GOP nominee so we send the very best candidate to the general election in November. We need a GOP candidate who represents Arkansas’ conservative values and understands the concerns of Arkansas’ conservative majority. We need as many as possible to attend these events to get to know the candidates. For years, we have allowed state GOP party loyalists and even the national infrastructure of the Republican party to choose the nominee who would oppose the Democrats who have failed to represent us in DC. In 2004, only 8484 of the 54000 who participated in the GOP Senate primary were 1st District voters. We MUST motivate more 1st District voters to participate in the Republican primary this year if we hope to deliver a conservative candidate who will be palatable to a majority of those who vote in November. One way to do that is by getting to know these candidates. Meet them, speak with them, listen to them, and then choose who you think will best represent us in Washington. Then tell your friends. Spread the word. Let people know you’re excited about this candidate, or that one and tell them why! If we can accomplish that mission, we can choose a conservative candidate who can win in November. It will be an historic accomplishment because the last time the 1st District was represented by a Republican was in 1875. But we need an historic election to undo the historic damage to our country inflicted by the Obama administration. Crawford entered the race and has been campaigning since last April, long before anyone suspected Marion Berry would choose not to run. In fact, many believe Crawford’s long-running campaign may have dealt the death blow to Berry’s chances to win re-election. The veteran from Jonesboro embraced the Tea Party early in his campaign and promises to support its platform of 1) Limited Government, 2) Fiscal Responsibility, and 3) Accountable Elected Officials. Before Smith announced she would challenge him in the GOP primary, Crawford committed to make himself available to Lonoke County voters at the upcoming Meet & Greet in Cabot later this week. A Google search for any relationship between Princella Smith and the Tea Party movement turns up empty. In fact, it’s difficult to even find an article that mentions both her and the protest movement that swept the nation last year and turned the 2010 election cycle into a boiling cauldron for many Democrats across the country. Smith touts her knowledge of “how things work” on Capitol Hill as one of her qualifications to represent Arkansas’ 1st District, but that may not play well with Tea Party activists who are generally disenchanted with Republicans and Democrats in Washington. On the issues, she and Crawford apparently agree with and support the planks in the national GOP platform. Her youth may become an issue as well. Most of the four years since she graduated college have been spent in DC working with establishment Republicans like former Speaker of the House Newt Gingrich, and most recently with Congressman Anh “Joseph” Cao (R-LA) who was the only GOP House member to vote for Obama’s government takeover of health care. So both candidates espouse conservative ideals. But the most important thing in this election cycle will be to nominate candidates who can capitalize on the energy of the Tea Party movement, a person who will be a friend to the movement even after he or she has an office in DC. Here’s the opportunity to meet your next Congressman Lonoke County! One of these two will replace Marion Berry next year, if we get involved and work to choose the best one in May. On Monday, Arkansas’ Democrat Lt. Governor Bill Halter announced he will run against incumbent Democrat Senator Blanche Lincoln. Many are writing that conservative GOP candidates will reap big rewards from Halter’s challenge, and it will certainly help them in some areas. But the primary competition could actually help Lincoln with Arkansas conservatives who historically vote Democrat. It’s been widely reported that Lincoln has over $5 million in the bank while the crowded field of Republican candidates have struggled to raise campaign cash in the midst of the current recession. But, in only two days, left-wing special interest groups including Moveon.org, Act Blue, and powerful labor unions have filled Halter’s campaign coffers with $4.75 million. This puts the two Democrats on an essentially even playing field for the primary and will prevent either from hoarding funds for the general election. The far left fringe of the Democrat party is declaring an all out war on Lincoln. 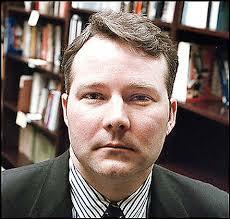 The powerful left-wing labor union AFL-CIO alone has agreed to funnel $4 million to Halter’s campaign. These left-wing forces are upset because Blanche has spent her political career trying to play both ends against the middle. She supported nearly every plank in President Obama’s platform last year, but the start of the campaign has her courting the conservative majority of Arkansans. Her votes for the Wall Street bailouts, auto industry bailouts, record budget deficits, record federal debt, and Obamacare weren’t enough to satisfy the left-wing loons’ demands for more government interference in Americans’ lives. Since returning from the Senate’s Christmas recess, Lincoln has been slinking slightly to the right. The Democrat Senator who so angered Arkansas’ conservative majority the past year by voting for the President’s Socialist policies even fired a shot across Obama’s bow last month in an effort to win back the support of her conservative constituency. In addition to asking the President to “push back against people at the extremes” of their party, she directly attacked him for his lack of administrative experience when she relayed the concerns of a constituent who worried that no one in the White House “understands what it means to go to work on Monday and make a payroll on Friday.“ Her actions since the beginning of this election year make clear the Senator believes the key to her success lies in recapturing the support of Arkansas conservatives. But Leon H. Wolf at Redstate predicts that “Halter’s very presence in the Democratic Primary will effectively force both candidates to tack left for the Democratic primary vote.” And while a primary challenge by a left-wing Democrat in most states would do just that, several factors in Arkansas may mean Blanche’s veer to the right may be the key to a primary victory in May. Arkansas’ open primary, conservative electorate, and historical unwillingness to send Republicans to the US Capitol could benefit Lincoln more if she DOESN’T follow Halter to the left. Arkansas’ open primary permits registered voters, regardless of party affiliation, to vote in either the Democrat or Republican primary. In the 2004 primary, 278,000 Arkansans voted in the Democrat primary vs. only 54,000 in the Republican primary. According to the Arkansas Times, in January of 2008 there were only 57,851 registered Democrats and 44,437 registered Republicans in the state. So, registered independent voters outnumbered registered Democrats participating in the 2004 Democrat primary. These numbers indicate a Democrat primary victory in the state may be possible without the support of the far left. And it could happen that, if Halter comes across as an extreme left-wing liberal, many more conservative voters may be motivated to participate in the Democrat primary for no other reason than to vote against him. If that occurs, these voters will likely find it much easier to support Lincoln in November. So Halter’s entry in the race will certainly benefit real conservative candidates by forcing Blanche to spend some of her hoarded campaign stash, but it may also strengthen her with those conservative Arkansans who still remain reluctant to pull the Republican lever in the voting booth. Conservatives who want Blanche gone need to work together to exploit a Halter vs. Lincoln primary. The goal is to maximize the damage done to Lincoln’s campaign and minimize the benefits. Look for Part II of this article later this week for ideas on how to do just that. Both GOP candidates for Arkansas’ 2nd Congressional District seat addressed advocates for 2nd Amendment rights in Little Rock on Saturday. And even though the race looked like it might get a little heated earlier this week, neither Scott Wallace nor Tim Griffin lashed out at each other. Both Griffin and Wallace promised to stand firm in support of 2nd Amendment right, and backed up their positions with personal experience. Griffin explained to rally goers that a key component of protecting gun rights is to get conservative justices on the Supreme Court. “I spent a lot of labor and energy in 2005 to get Chief Justice John Roberts confirmed to the US Supreme Court,” said Griffin. Wallace emphasized his work in the community, especially as a reserve Pulaski County Sheriff’s Deputy. 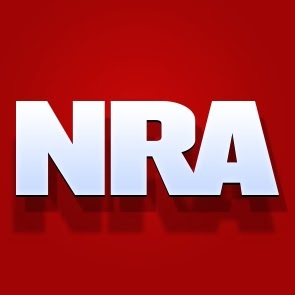 “Over the past two years, I have seized guns out of countless cars with felons in the car. Criminals have guns. And criminals will always have guns! The people who are law abiding citizens need to have protection,” proclaimed Wallace. Earlier this week, Wallace appeared on Dave Elswick’s afternoon radio show to denounce Griffin as a Washington “insider.” Elswick opened the segment by chastising the Republican’s national organization for interfering in Arkansas’ primary, but didn’t label Griffin an insider. Wallace used the opportunity to publicize his “Insider Bomb,” an online fundraiser similar to the models used successfully in the campaigns of Scott Brown in Massachusetts and Marco Rubio in Florida. On his website, the Little Rock businessman posted a photo of an invitation to a Washington, DC fundraiser that had ended as Elswick’s 5:00 segment began. The invitation listed the price of admission at $1000 for PACs and $500 for individuals, and Wallace later blogged that taking money from outside the district makes a candidate beholden to special interests. Griffin doesn’t seem to fear being tagged an insider. His reference to the work he did to help get Roberts confirmed to the Supreme Court could certainly be used by Wallace and others leery of Washington influence to confirm their arguments. But Griffin evidently considers his ties to Washington an asset, or he certainly wouldn’t be emphasizing them himself. At the rally we caught up with David Meeks, who until only weeks ago was vying for the same office as Wallace and Griffin, and asked if he planned to endorse one or the other. Meeks withdrew only a few days after posting a status update on Facebook and a blog post charging Republicans in Washington with interfering in the Arkansas primary. But he informed us he has no intention of endorsing Wallace or Griffin. Both, he said, stand for conservative values. Only time will tell which candidate voters in the 2nd District will choose in the Republican primary. Their position on the 2nd Amendment won’t differentiate them, but the “insider” argument might. It appears to be a major part of Wallace’s strategy, and Griffin doesn’t seem bothered enough by the label to counter it. Lincoln’s pitiful polling of late recently led conservative columnist Charles Krauthammer to remark, “Poor Blanche Lincoln couldn’t even compete with Mussolini” on Fox News’ The O’Reilly Factor. The last several polls by Rasmussen have shown Lincoln trailing at least four potential Republican opponents, and the latest had all four ahead by at least 8 points. Beebe believes Lincoln’s campaign cash will be enough to overcome her lack of popularity in Arkansas by November. “She’s got a lot of money, she needs to spend it wisely to educate,” said the governor. But we would argue the electorate is educated on Lincoln, and her money won’t be enough to “reeducate” us. The Senator’s popularity has consistently collapsed with virtually every vote she cast in support of President Barack Obama’s Socialist platform. On TARP, the auto industry bailout, budgets that created record deficits, increasing the federal debt limit, and Obamacare, Lincoln has stood with Obama and against the will of a large majority of Arkansas voters. Each time her “Yea” was heard by Arkansans, her poll numbers plummeted. Lincoln’s willingness to abandon the clear will of the Arkansas electorate and walk arm-in-arm with Obama and Senate Majority Leader Harry Reid to support their proposed government takeover of the US health care system was likely the proverbial straw that broke the camel’s back. Because passage in the Senate required 60 votes to overcome a Republican filibuster, Reid and Obama needed every single Democrat. Lincoln’s status as one of the final two holdouts indicates she understood the tightrope she was walking. She understood the people of Arkansas were strongly opposed to Obamacare, but she succumbed to the pressure of Reid and Obama. She could have chosen to represent the clear will of Arkansas voters, and cast the vote that would have killed Obama’s dream of socialized medicine in America. But instead she chose to stand with her liberal buddies from Chicago and Las Vegas, against her constituents in Arkansas. Governor Beebe and Blanche Lincoln may think voters in Arkansas can be “educated”, but we’ve been educating ourselves on Lincoln ever since she began marching in lockstep with Reid and Obama. Krauthammer was right, and Arkansas voters are already educated on the upcoming Senate race. Senator Lincoln should start packing. 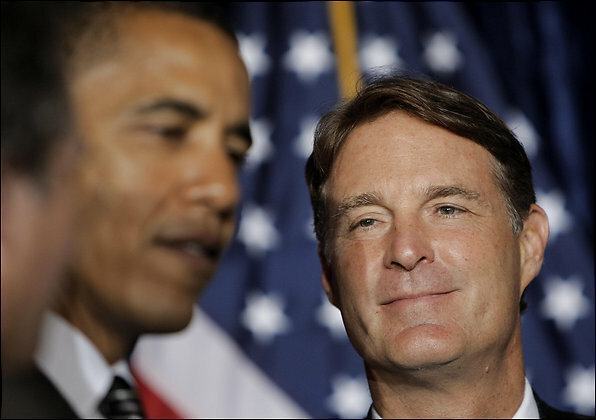 Sen. Evan Bayh, D-Ind., “shocked” President Barack Obama and his party by announcing his plan to retire from the Senate. Appearing on CBS’ “The Early Show,” Bayh explained: Washington suffers from acute partisanship. Washington doesn’t work. It is broken. How noble — a principled position against “divisiveness.” Let us honor a good man standing tall against the lack of “bipartisanship.” Pass the barf bag. When has Washington, D.C., not been “divisive” under a president pushing unpopular ideas — whether the war in Iraq, the Senate “amnesty” bill, partial privatization of Social Security or Bill Clinton’s attempt to allow gays to serve openly in the military? Could it be that the “fed-up” senator feared losing re-election? Don’t ask. CBS didn’t. The possibility that Bayh faced a tough re-election wasn’t even hinted at. But imagine Bayh, who explored a 2008 presidential bid, running for re-election while justifying to skeptical Hoosiers his votes for “stimulus,” TARP, the auto bailouts and ObamaCare. Here’s the big underreported story. Coleman has proclaimed his pro-life stance from the outset of his campaign, so such a statement shouldn’t really surprise anyone. Though his Right to Life position paper on his website doesn’t specifically mention stem cell research, Coleman makes clear he’s adamantly opposed to abortion and dedicated to protecting the life of the unborn. Still, Democrats are attacking the central Arkansas businessman. Claiming he’s attacked researchers and Jewish Arkansans, left-wingers across the country have descended on the story like a pack of ravenous wolves. When asked to comment for this article, Rabbi Kalman Winnick of the Agudath Achim Synagogue in Little Rock said he didn’t think the comparison was appropriate, but stopped short of saying it was invalid. He said there is a contemporary tendency to compare anything one disagrees with to the Nazis and that practice is hurtful to those who actually endured the atrocities of the Nazis in WWII. According to Winnick, such comparisons should not be used in modern political disputes. Winnick did not take a position for or against embryonic stem cell research, but did say he’s not sure Coleman was wrong to place a high value on a potential life. The Rabbi said he does a lot of counseling and often tells people they can be both right and wrong in what they’re saying. “What you say may be right, but you can be wrong to say it,” said the Rabbi. Predictably though, liberal blogs and news organizations have seized the comment to paint Coleman as an “extremist.” But, these left-wing media outlets have ignored the veracity of Coleman’s statement as they intentionally misinterpreted the comment in the hopes of boosting Democrats’ chances in a race that recent polls have shown is more than likely to be won by the GOP in November. MSNBC, The Huffington Post, Think Progress, and other left-wing Democrat propaganda appendages are all trying to convince the electorate that Coleman envisions microscopic cells being marched to gas chambers. But Coleman meant no such thing, and the left-wing rags all know that. Given Coleman’s unequivocal belief that human life begins at conception, by definition he believes an embryo embodies human life. Coleman insists he’s not against using other types of stem cells for research purposes. He posted the following comments on his blog to clarify his misinterpreted remark. We’ve all seen images of atrocities committed against Jews by the Nazis in WWII concentration camps. Mass graves, human incinerators, gas chambers, cattle cars, starving prisoners literally worked to death to feed the Wehrmacht are burned into our minds from photos, movies, and newsreels that we’ve seen over the years. But lesser known atrocities were committed in these camps as well, including the use of Jewish prisoners as human guinea pigs for medical experiments. The United States Holocaust Museum breaks down Nazi medical experiments on human subjects into three separate categories. The authors of the previously mentioned left-wing articles on Coleman’s comment have intentionally attempted to give the impression that such experiments only fell into the third category. Perusing the comments on several of these articles, it appears the consumers of these Democrat propaganda organizations have virtually no idea that experiments of the first and second category were performed in the Third Reich death camps. Technically and literally, experiments in the first and second category did exactly what Curtis Coleman described–they took lives to conduct experiments to temporarily extend the lives of others.